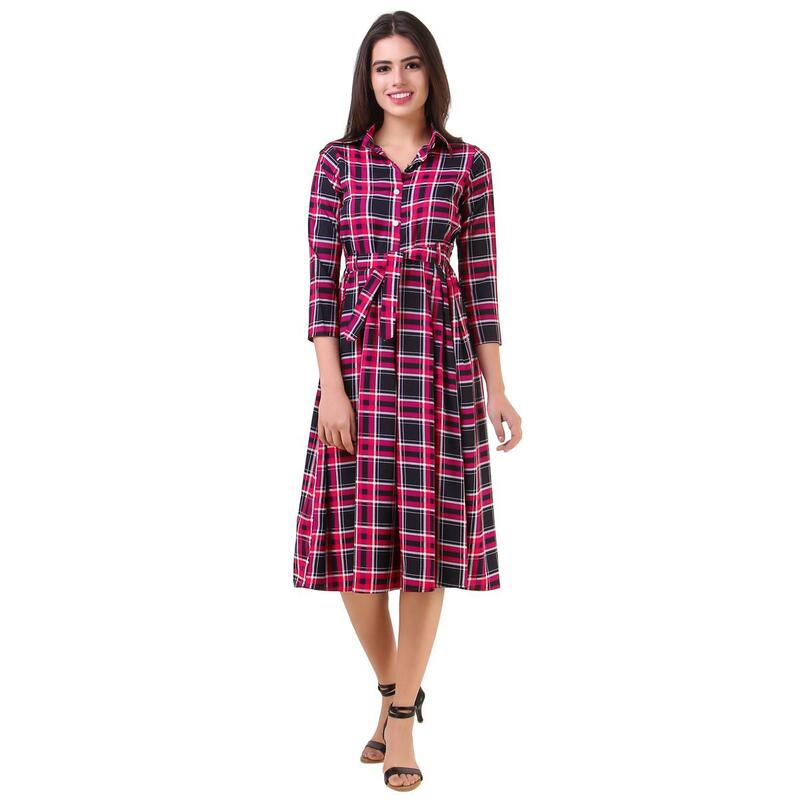 Embrace the bold looks in this ravishing pink checked casual wear amerian crape dress. This attractive western dress is the flavor of the season and will give you a sassy look. Tailored in regular fit, this dress will keep you comfortable all day long. Its unique design and beautiful color will fetch a lot of second glances as you club it with pumps and flashy accessory.